Simple machines are tools we use to help make work easier. There are six types of simple machines (inclined plane, wheel and axle, pulley, screw, wedge and lever). You can make a model of any of the six simple machines for a fifth-grade science project by following a few simple steps. An inclined plane helps us move heavy objects by pushing or rolling them up at an angle rather than lifting them straight up. Fifth-graders may be familiar with skateboard ramps, which are a type of inclined plane. Demonstrate an inclined plane by stacking several books on a desk. Lean a piece of plywood against the books and roll a pencil or slide a box of crayons up the plywood. You can demonstrate a wheel and axle by making a pinwheel. Find a square piece of paper and fold it in half diagonally. Open the paper and fold it diagonally in half again in the other direction. Unfold the paper to find creases that form an X. Cut along each crease up to an inch away from the center. Gently fold the right corner of each cut section toward the center. Push a pin through the center, puncturing each corner you have folded in. Place a bead on the pin and then hammer the pin into a wooden skewer. Demonstrate by blowing on the pinwheel or using a fan. A pulley helps us lift heavy objects by pulling down on something rather than lifting up. 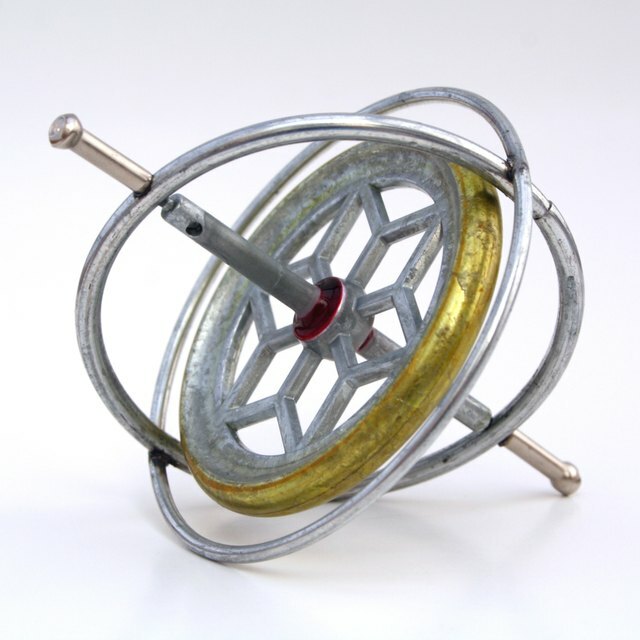 To make a simple pulley, cut the bottom center of a hanger with wire cutters and slide a wooden spool onto one side. Tape the hanger closed. Hang the hanger securely on a hook or bar. Tie one end of a string to a light object such as a paperclip, and wrap the string over the spool. Demonstrate by pulling on the free side of the string. As the spool rotates, the object will lift. Essentially, a screw is an inclined plane wrapped around a pole or post that allows us to hold materials together or lift and object. Using a screw-type wine bottle opener, demonstrate how the screw can be inserted into a cork and turned to penetrate deep into the object. The cork can then be easily pulled out. A wedge is like two inclined planes back to back. Wedges can be used to cut materials. For instance, a wedge can be hammered into a log to split wood. A wedge can also stop something from moving. Show your class how a wedge works by sliding a doorstop under a classroom door to hold it open. A lever is like a seesaw. It is used to lift heavy objects. To make your own, put a can on its side. The can acts as a fulcrum, or the pivoting point for the lever. Tap a grove in the center of the can and lay a ruler across the groove. Place an object on the side of the ruler that is touching the ground and push on the side of the ruler that is up in the air. Show the class how the lever helps you lift the object. You can make a larger-scale lever with a stack of books and a yardstick. Pancare, Rachel. "5th Grade Simple Machine Ideas." Sciencing, https://sciencing.com/5th-grade-simple-machine-ideas-8083323.html. 13 March 2018.